Well I hope we all enjoyed the interview with novelist Christopher Nicole I posted on Monday, and indeed the second part of Chris Lyons's Richard Stark/Parker essay, "The Wolf Man" – available, of course, on The Violent World of Parker blog. And since I seem to be developing a blogging theme this week of posts-which-require-little-to-no-writing-on-my-part, and seeing as this Saturday (17 March) marks the return of the Lewes Book Fair to the fair East Sussex county town in which, dare we forget, I both live and work, I thought I'd persist with that not-much-effort-on-my-part-required theme and post an article I wrote about the fair for local listings magazine Viva Lewes last year. They’re queuing for the Lewes Book Fair, a staple of the local bibliophile’s calendar. 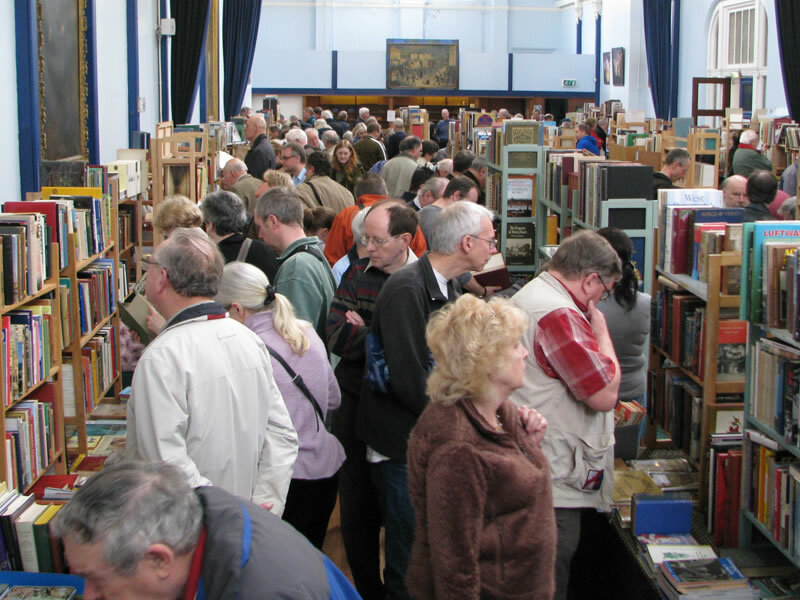 Held five times a year, the fair is a chance for book hounds to peruse the wares of a variety of secondhand booksellers, big and small, all hawking books on subjects as varied as topography, history, local interest and nature, not to mention fiction – first editions and paperbacks a-plenty – poetry and assorted paraphernalia. If it’s the printed word you’re after, the Lewes Book Fair caters to all. Set up by Lewesian John Beck in 1992, the fair began on a twice-yearly basis with twenty stallholders. These days it’s more like forty, with between 400 and 500 punters attending each fair from as far afield as London and Southampton, as well as Lewes and Sussex. 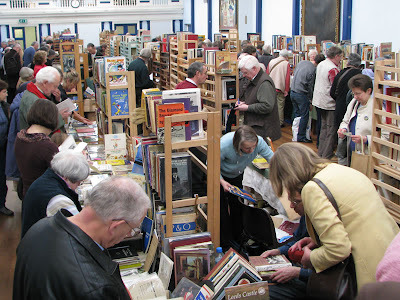 The most recent event in May was typically crowded; an hour in it became tricky to navigate the two long aisles of stalls there were so many people poring over old tomes. But I did spot a signed first edition of Conan Doyle’s 1891 historical adventure The White Company (£500), a very scare first of David Nobbs’s The Death of Reginald Perrin (£165) and, more in my price range (so of course I bought ’em), a book club edition of John Gardner’s first Bond novel Licence Renewed (a steal at two quid) and an early printing of Dennis Wheatley’s innovative 1936 crime fiction dossier Murder off Miami (£6). The Lewes fair is just one of many such independent events held up and down the country every weekend – on average fifty per month – but having attended a good number in other parts of the UK, I can report that ours remains among the best. I asked John – who runs the fair with his daughter Melanie and friends, and who is an avid book collector himself – why that is. I wish there were sales like this in my part of the US! Granted there are library sales and a number of fine used bookstores, but nothing (that I know of) that's such an event as the Lewes Fair. 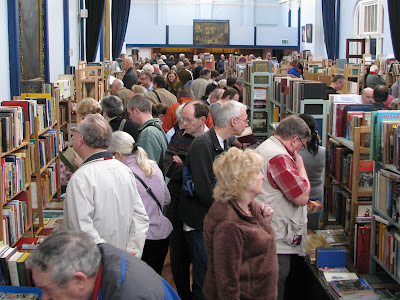 From what I've gathered, Matt, these kinds of collector book fairs are pretty unique to the UK. Even here, though, the number of fairs per month has declined a little (in the original article I put the monthly number at 60, not 50). But the best ones, which tend to be well-run and based in interesting locations, are still going strong: I visited the Midhurst (West Sussex) one last weekend, and that had actually expanded into a couple more rooms since my last visit. The Ilex Gift Giveaway: The Three Winners!